ANSYS FEA helps you solve structural engineering problems and make better, faster design decisions. You can customise, parameterise & automate your simulations to analyse multiple design scenarios, while easily integrating with ANSYS CFD & electromagnetic tools. ANSYS structural analysis software is trusted by organisations around the world to rapidly solve complex structural engineering problems with ease. 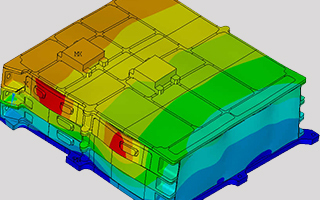 All users, from designers to advanced experts, can benefit from ANSYS structural analysis software through: the renowned ANSYS Workbench intuitive workflow; wide variety of material models; element library quality; solver speed, robustness and accuracy; and the ability to model every product — from single parts to very complex assemblies with hundreds of components interacting through contacts or relative motions. The speed of ANSYS simulations can be reduced further through efficient parallel processing capabilities to exploit multiple core PCs and High Performance Computing (HPC). Bi-directional connections with all popular CAD systems enables seamless geometry import, automatic parametric studies and Optimisation. Automatic contact detection make it easy to set up and prepare single part and assembly models for meshing. Other tools, like factor-of-safety prediction and built-in simulation wizards, help even new users get accurate, reliable simulation results in minutes. Combined with ANSYS Fluid Mechanics or Electromagnetics solvers, ANSYS CFD software can undertake fluid-structure interaction (FSI) and other multiphysics simulations. All ANSYS structural mechanics solutions are built on the same solver technology and ANSYS Workbench intuitive user environment, enabling you to easily upgrade between products as your simulation requirements evolve. 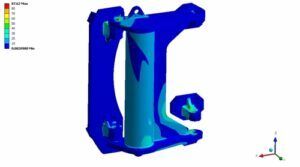 ANSYS Mechanical Premium is a comprehensive non-linear stress analysis software for advanced structural analysis, including transient thermal, dynamics and fatigue capabilities. 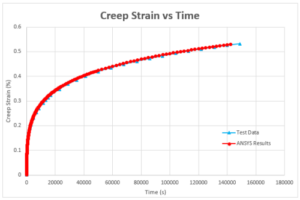 ANSYS Mechanical Pro is a flexible general purpose linear stress analysis software for regular structural analysis, including transient thermal, modal and fatigue capabilities. 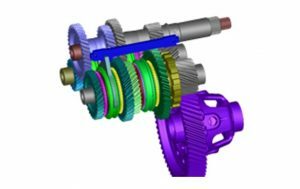 ANSYS DesignSpace is a designer-focused, linear structural, thermal and modal (vibration) analysis tool, including comprehensive contact modelling capabilities for assemblies. ANSYS Autodyn simulates the response of materials to short duration severe loadings from impact, high pressure or explosions. 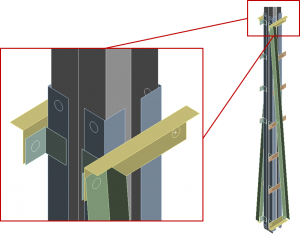 ANSYS nCode DesignLife extends ANSYS structural mechanics solutions for advanced durability/fatigue analysis, calculating culmative damage due to complex duty cycles from ANSYS stress and strain results. The powerful and easy-to-use topology optimisation feature, which maximises material efficiency, now includes thermal objectives and works with shell geometries. Another excellent training course from Wilde. The tips revealed during the course will enable a more efficient use of ANSYS Workbench, DesignModeler and Mechanical. The course enabled me to get a good grasp of the of the key functions to ANSYS Workbench which I found intuitive and with a user friendly interface. The material was well presented and the tutorials reinforced learning ….tutor has a huge amount of knowledge of ANSYS. Very Professional. Through ANSYS Workbench we have a tool which allows us to increase the performance of our products. Drastic reductions in weights and inertia of the couplings have been achieved without compromising the strength of the unit. Lateral vibration of coupling is now being estimated to a level of confidence previously unattainable without days of computation and cost. ...thank you for the efforts put into the focus course which my 3 guys attended earlier this week. They were very complimentary about the quality of the training and the way in which Wilde was able to tailor things to our specific working life requirements. 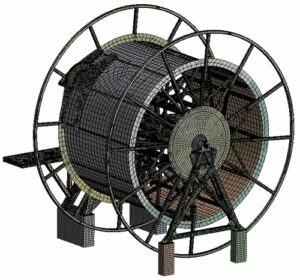 Our company continues to benefit from the ANSYS and CivilFEM software supplied to us by Wilde Analysis... It has brought many advantages, not least reduced project risk, cost savings and improved safety and quality. Wilde underpins their software supply with excellent technical support and this enables us to develop our in-house knowledge and to get the most out of our software. A fantastic and thorough introduction to fundamental principles and ANSYS analysis tools. I feel more than equipped to practise these skills to support & promote a more interactive development process. Very well presented [ANSYS LS-DYNA] course by knowledgeable staff with real life experience.